Gerhard Mitter was one of the greatest racing drivers Germany has ever produced. A Porsche works driver who took three European Hill Climb Championship titles, he suffered a fatal accident shortly before his planned move to Formula One. In the 1960s, the European Hill Climb Championship was one of the premier competitions in motor sport. The most successful driver of the era was Gerhard Mitter, who had been recruited to the Porsche works team to replace the late Edgar Barth. Mitter emulated Barth in taking three European Hill Climb Championship titles and even surpassed the achievements of his predecessor by winning them in consecutive years. In 1966, 1967 and 1968, he triumphed against rival entries from Ferrari, BMW and Abarth – and successfully fended off his ambitious teammate Rolf Stommelen in the latter two seasons. The cars that took him to these victories were primarily the Porsche 906 Carrera 6 and various versions of the Porsche 910. With his ability to focus all his energy and concentration on a period of a few short minutes, Mitter became one of the most dominant racers in the mountains. In 1969, Mitter was among the drivers who entered into Porsche legend by steering the company to its first ever title in the International Championship for Makes. He went on to record his greatest victory in the May of that year, taking first place at the Targa Florio – part of the World Sportscar Championship – with Udo Schütz in the Porsche 908. Within the large works team, Gerhard Mitter was the first point of contact for the engineering team around Peter Falk. Mitter acted as a spokesman for the drivers and undertook a number of test drives for Porsche. He also liked to talk about technical issues, which led to intensive discussions with the engineers on occasion. A design engineer himself, his technical expertise stemmed from the days when he had served as both boss and driver in his very own racing team. The highly competitive Leonberg-based racer had enjoyed particular success in Formula Junior, which was a popular series at the time. An often serious and focused character, Mitter also had a talent for explaining technical concepts in layman’s terms. Despite all his success in the European Hill Climb Championship and the World Endurance Championship, Mitter maintained a constant focus on his career in the racing formulas. In 1964, he took an old Porsche 718/2 Formula 2 to fourth place at the German Grand Prix and earned himself three World Championship points. Mitter was set to make his breakthrough in Formula One in 1970 and had already signed an engine deal with Ford. 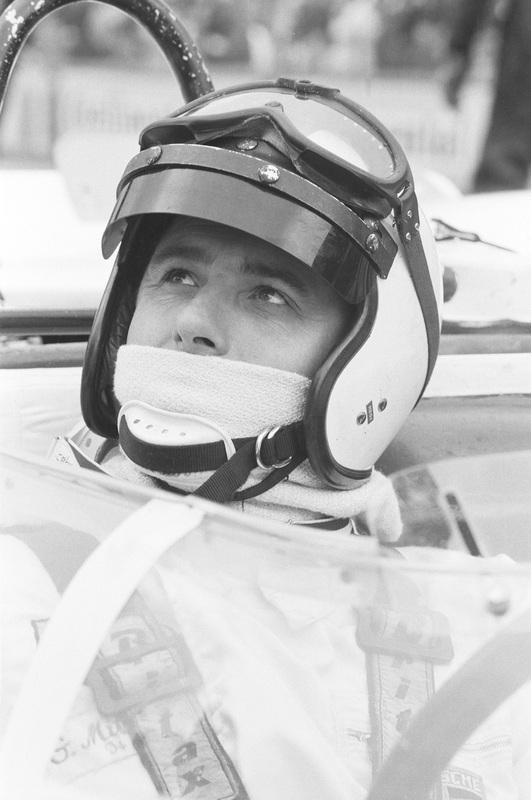 However, he was killed at the Nürburgring on 1 August 1969 when his BMW F2 crashed as a result of a steering fault.